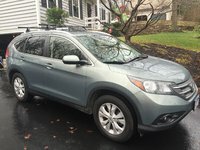 Looking for a Used Murano in your area? CarGurus has 25,007 nationwide Murano listings starting at $1,999. A roomy cabin with pleasantly accommodating rear-seat space, a well-wrought V6 powerplant, a smooth continuously variable transmission (CVT), some agile handling capabilities and a wealth of standard amenities all play nicely together in the 2012 Nissan Murano. Less cargo space than many competitors, lingering issues with rearward vision and some distracting wind and road noise seeping through the cabin keep the 2012 Murano midsize crossover from achieving true greatness. 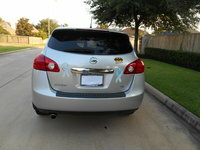 Although agile and powerful, its crowded cargo area makes the 2012 Nissan Murano a bit less practical than many rivals. But a plethora of standard amenities, an all-wheel drive option and a comparatively spacious rear seat offset its few glitches. Be advised, however, that those Muranos endowed with the more exotic options won’t come cheap. Since its debut nearly 10 years ago, Nissan’s nimble Murano has been lauded as one of the top 10 midsize crossovers on the market. In 2012 the tradition continues with this cute ute offering accommodations for 5, an engaging drive, a peppy V6, available all-wheel drive (AWD) and that wink-wink, nudge-nudge look that captures the fancy, but doesn’t do much to improve a comparatively paltry cargo area. Nonetheless, this classy crossover, now in its second generation, again offers four trims—the base S, the lower-midlevel SV, the upper midlevel SL and the top-shelf LE—with all trims capable of toting up to 64 cubic feet of cargo with the rear seats folded. In any case, among the advantages that the hard-top Murano lords over its competitors is a rear seat that actually folds nearly flat without the need to remove the rear headrests. Space behind the rear seat, meantime, is a respectable 31.6 cubic feet, certainly enough to carry the luggage and supplies needed for, say, a week-long family vacation. New for the 2012 Murano is a 7-inch monochrome dash display screen that now comes standard in the S version, while the flagship LE gets a new Platinum Edition Options Package. Alas, little has been done to improve its challenging visibility aft, nor is its otherwise well-wrought cabin the quietest on the market. Ford’s trendy Edge, Toyota’s wagon-esque Venza, and Jeep’s off-road-capable Grand Cherokee rival the Murano in utility, styling and practicality, but Nissan’s crafty crossover carries an edge over all of them in pumping out some pure driving fun. In keeping with tradition, the 2012 Murano lineup is offered with only a variable-valve-timed (VVT) 3.5-liter V6 engine in its repertoire. This capable powerplant is, however, mated with a continuously variable transmission (CVT) that’s described by reviewers and owners alike as among the best in the business. Look for this combo to produce 260 hp at 6,000 rpm and 240 lb-ft of torque at 4,400 rpm, good enough to tow up to 3,500 pounds when accessorized with the available Class I or II trailer hitch and wiring. Mileage, meanwhile, is estimated at 18 mpg city/24 highway in standard front-wheel-drive (FWD) trims, 18/23 in AWD versions. Nissan’s Intuitive All-Wheel Drive technology allows this heady ute to cruise in FWD under normal conditions. When cornering, 70% of power is instantaneously transferred to the front wheels to help power through, while in deteriorating winter driving conditions, torque is split 50/50 for true AWD traction. Most reviews compliment the Murano for its prompt acceleration and ultra-smooth pickup. Virtually all note that the CVT is far superior to most—better, even, than many traditional 5- and 6-speed automatics. A number of reviewers are impressed with this unit’s ability to bring engine power to a smooth crescendo for effortless passing and merging, while acceleration from a stop is downright sedan-like. Finally, many reviewers report a subdued roar from the six-banger on hard acceleration that soon subsides into near silence at highway speeds. 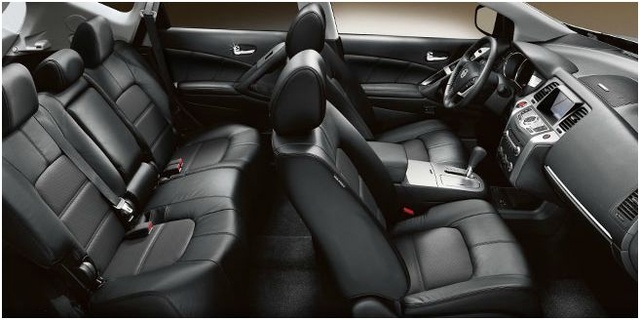 Where the 2012 Rogue truly shines, in the minds of a majority of reviewers, is in its ride comfort and handling abilities. A quasi-sport-tuned 4-wheel independent suspension, starring MacPherson front struts, a multi-link rear end and stabilizer bars front and rear, results in a crossover that doesn’t drive like the typical denizen of the class. Cornering is noted by a majority of reviews as precise and composed, with only moderate body lean, while torque split in AWD editions is just enough to give drivers a feeling of confidence and control in even the tightest turns. There are, however, a number of reviewers who complain that this cunning crossover could use a better steering feel, that it feels just a tad too light for the highway. A few others note a tendency in the standard FWD trims to wallow and grunt through even modest corners. Sporting standard 18-inch wheels and all-season tires, the S, SV and SL trims are praised for their ability to smooth out all but the harshest of paved roads. The LE’s 20-inch wheels? Well, that’s a bit different. Most reviewers find the flagship trim to be less accommodating to rough surfaces, as the tradition of a larger wheel size equaling a less composed ride continues. Brakes, finally, are noted by virtually all reviewers to be powerful and smooth, with pedal action described as notably glitch-free. Tests on the 2012 Murano found it stopping from 60 mph to 0 in a well-controlled 126 feet, which is, according to a number of reviews, quite good for its class. Though practical and precious, the 2012 Murano can be a bit of a showman in its presentation of standard amenities. The base S, for instance, comes with a standard rear spoiler and alloy wheels, cloth upholstery, front bucket and reclining rear seats, as well as some spiffy alloy and leather cabin trim accents. Remote power door locks, power windows and mirrors, cruise control and telescoping tilt-wheel steering also adorn this entry-level trim, while dual-zone climate control is bolstered by an MP3-capable 6-CD changer with 6 speakers. Meantime, the new-for-2012 dashboard-mounted monochrome 7-inch screen displays a trip computer and various system operations info. The SV adds a roof rack, a power glass sunroof and fixed rear glass sunroof, power-adjustable front seats with driver’s-side power lumbar support and a rear-view camera. Satellite radio and a USB port bolster the entertainment system, though, alas, the 6-CD changer is deleted in favor of a single-CD unit. Finally, standard Bluetooth technology provides hands-free communications capability. The SL, meanwhile, boasts such standard extras as a power rear liftgate, leather upholstery, heated outside mirrors, heated front seats and a universal remote garage door opener. This upscale midlevel trim also sports a heated leather and simulated alloy steering wheel and memory for driver's settings, as well as 11 Bose premium speakers with 2 subwoofers. Finally, the high-end LE comes with standard leather, chrome and simulated wood cabin accents, power-adjustable telescoping tilt-wheel steering, an auto-dimming rear-view mirror, heated rear seats, a rear cargo organizer and added memory for driver's settings. As is common, lower Murano trims are eligible for many of the items found standard aboard higher-priced editions. All trims can be delivered with such prosaic items as LED daytime running lights, splash guards, upgraded floor mats and cargo management equipment, while the SL and LE trims reamain in line for an available hard-drive-based navigation suite and rear-seat DVD entertainment with dual front-headrest-mounted screens. Finally, the LE gets a new Platinum Edition with 20-inch upgraded wheels, unique Sapphire Black paint and the hard-drive-based navigation thrown in. As an added bonus, the navigation system comes loaded with Zagat Survey dining choices and NavTraffic/NavWeather, along with Bluetooth streaming audio. 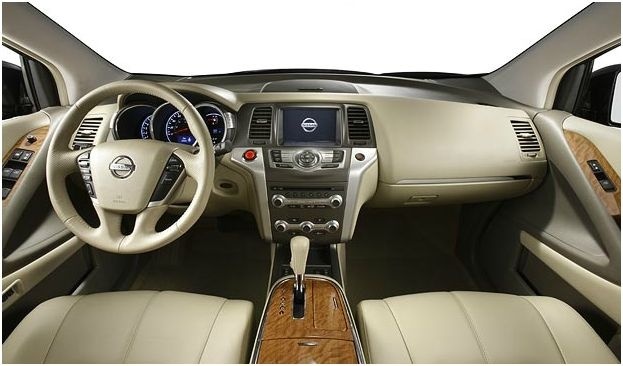 Reviewers find the 2012 Murano’s cabin among the more welcoming in its class, with comfortable seats, pleasantly embossed plastic trim accents and plenty of soft surfaces. However, reviewers also claim that the amber backlit gauges and the navigation screen are difficult to read in bright conditions, while the audio and trip computer are presented on a dash display that’s just a bit too removed from their actual controls. A few of the control buttons are, according to a number of reviewers, located in a somewhat hidden area below the center stack and require eyes to be taken off the road to determine which button is which. Meantime virtually all reviewers claim that rearward visibility is hampered to a frustrating degree by this mini-ute’s swooping roofline and large rear roof pillars, while wind and road noise can occasionally be distracting. Finally, on a more positive note, the vast majority of reviews note that the Murano’s rear seat is among the roomiest in its class, while entry and exit are aided by a low stance and wide front and rear doors. All of the family-oriented 2012 Murano trims are equipped with standard 4-wheel antilock brakes (ABS) boasting electronic brakeforce distribution and emergency braking assist, as well as traction and stability control. Inside, front and rear head airbags are bolstered by dual front side-mounted airbags and front head restraint whiplash protection. The SV and higher trims additionally sport standard front fog/driving lights and a remote antitheft alarm, while the LE also boasts standard bi-xenon high-intensity-discharge (HID) headlights. Finally, all trims can be equipped with optional LED daytime running lights. The National highway Traffic Safety Administration (NHTSA) gives the 2012 Murano its second-best 4 stars for overall safety, with 4 stars awarded in front impact and rollover testing, and its highest 5-star rating given for side-impact testing. 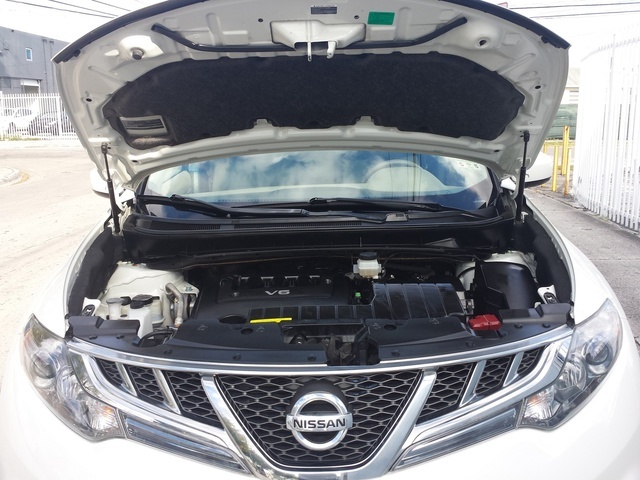 The Insurance Institute for Highway Safety, meanwhile, gives Nissan’s midsize crossover scores of Good in front- and side-impact tests, while roof strength garners the Institute’s next-to-worst Marginal score. 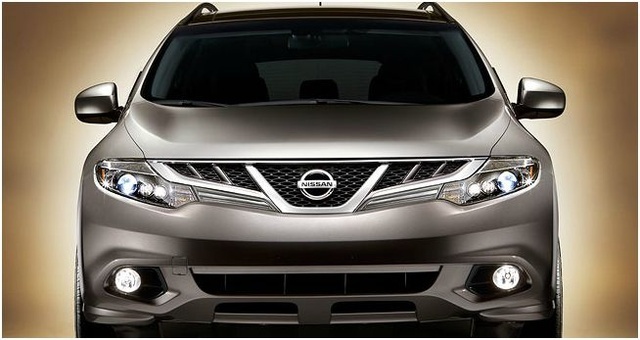 Poor aft visibility is one of the more common owner complaints about Nissan’s 2012 Murano lineup. Overstated mileage claims, meanwhile, are a further issue with a number of owners, while others feel that some interior accoutrements, especially the leather upholstery, aren’t up to the usual standards for the class. Finally, this midsize crossover’s hefty price tag for many optional items doesn’t sit well with owners who expected a bit more bang for the buck. On the positive side, a majority of owners favor the Murano’s unique look, smooth ride, alert handling and user-friendly controls. Virtually all owners also praise this classy crossover’s peppy V6 powerplant and smooth CVT, while many additionally laud its plentiful cabin room, especially the unusually accommodating rear seat area with its flat floor and generously proportioned head- and legroom. 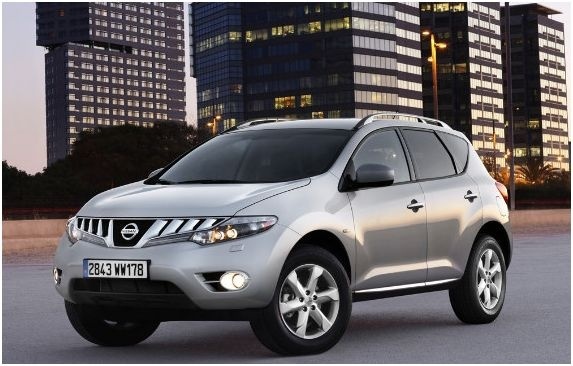 What's your take on the 2012 Nissan Murano? Have you driven a 2012 Nissan Murano? 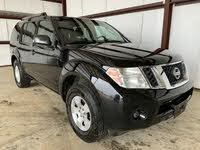 looking into buying 2012 Murano don't know about the CVT tran do they last? how about working on them costly? My Car For Sale Has Been Removed. What Happened?